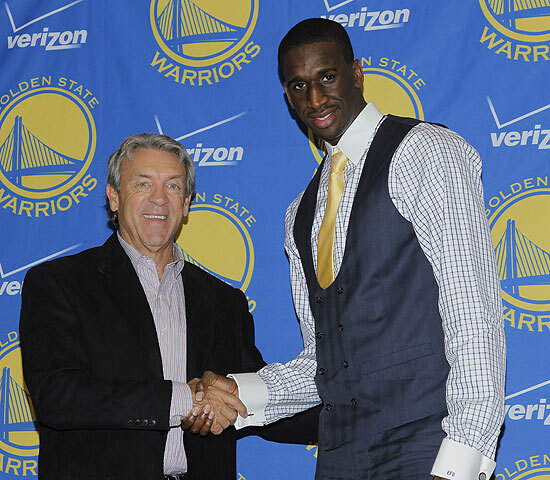 When David Stern announced Ekpe Udoh as the Warriors selection in the 2010 NBA Draft, a collective groan was let out by Warrior fans and if you were at Oracle arena for the Draft party you might’ve even booed along with everyone else. 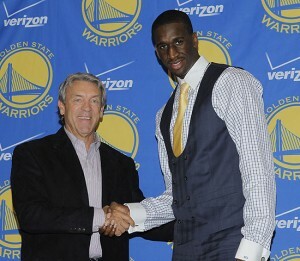 The reaction Udoh received would’ve been the same for any other player not named DeMarcus Cousins as Cousins was the jewel of the draft for Warrior followers. 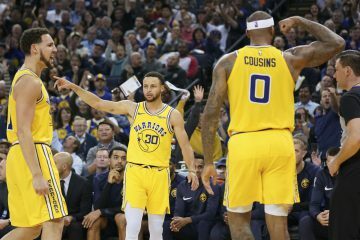 For weeks, all we heard was how Cousins might slip to the 6th pick in the draft at which point the Warriors would select him and pencil him as the starting center for the next decade. 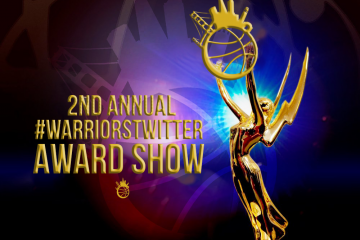 But, dreams never really come to fruition for the Warriors as evidenced by them having the 6th pick in what most experts considered a five player draft. 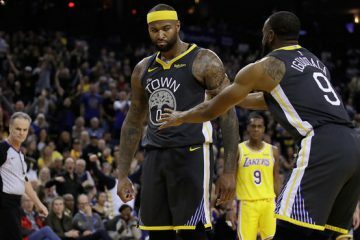 With Cousins off the board, it was widely known the Warriors would take either Greg Monroe from Georgetown or Ekpe Udoh and hope either of them could make some semblance of an impact instantly. 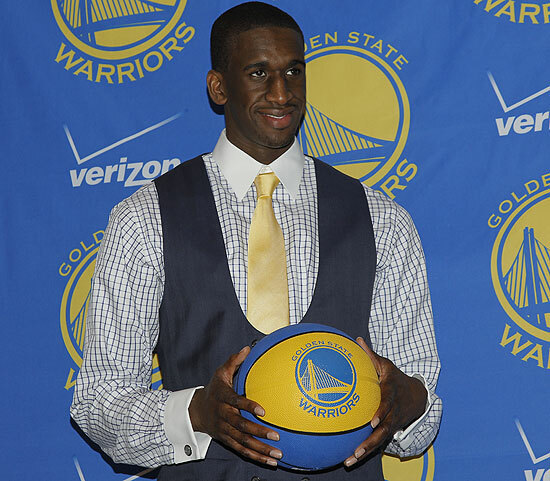 At 5:09 pm, the pick was in- Ekpe Udoh. The perception about Udoh from those who haven’t seen him play and are going off what they’ve heard about him is he’s another skinny front-court player who replicates many of the players the Warriors already have on the team. You’ll hear people say Udoh is a limited player who’ll struggle with the size and strength of NBA players on a nightly basis. Let’s get to the reality of the situation, Udoh is a classic tweener who possesses the capabilities to make an impact from day one. Udoh instantly becomes one of the Warriors’ best defenders as his defense and shot-blocking are what will get him on the court early on. In Don Nelson’s system, the front-court players usually have to guard smaller, quicker players as Nellie loves to switch on screens and pick and rolls. A front-court of Udoh/Wright/Randolph gives the Warriors three long athletic shot-blockers who can switch on defense and present problems for the offense with their length. Offensively, Udoh’s impact will come on the offensive glass, finishing around the hoop and hitting the occasional mid-range jumper that he’s shown he can knock down. Udoh is never going to be a 20 point scorer in the NBA nor will he be the primary option on offense. What he can do is facilitate ball movement, be an active presence down low and impact the games in various ways. Udoh is one of the older rookies in this year’s draft class as he enters the NBA at the age of 23 which many consider a sticking point to his development and potential. 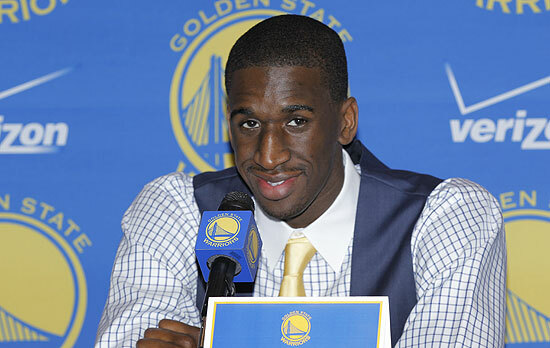 Although a rookie, Udoh is older than many of his teammates on the Warriors who have been one of the youngest teams in the NBA for the past couple of seasons. The last thing the Warriors needed to do was bring in a young 19 or 20 year old kid to sit on the bench and develop because they’ve done that for the past few seasons with negative results to show for it. 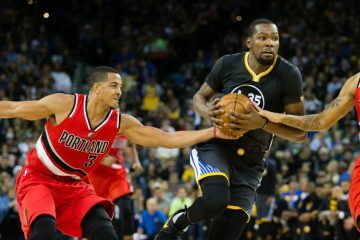 Bringing in an older, experienced player like Udoh gives the Warriors a rotation player from the start and not someone who they stick on the end of the bench and develop in practice. Udoh has been characterized by the coaching staff at Baylor as a “Natural Leader” and a “Culture Changer..for the positive”, if he can continue to live up to those comments, the Warriors would be thrilled. What you forgot to mention about Nellie trying to trade Ewing was that he was trying to get Shaq. Not trade for Shaq but ultimately have the cap room to try and sign him. Don Nelson needs to go. He’s never been anything more than a run and gun, no low post offense and no defense coach. What’s worse is Nelson rarely likes young players. The Warriors can’t draft a big man to save their life because Nelson doesn’t want a low post game. When he went to the knicks he wanted to trade Patrick Ewing. 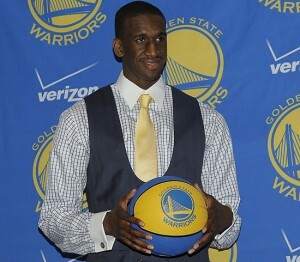 Nelson needs to go, trade Ellis for a power forward and start playing real basketball.